Watch the story of Banana Sam, in video. 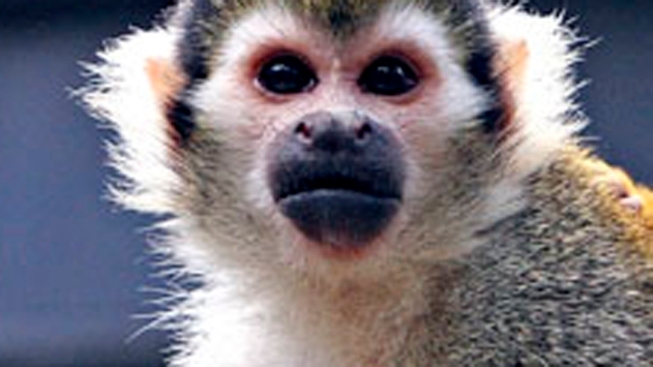 Banana Sam the squirrel monkey is safe at home at the San Francisco Zoo, after vandals unknown purloined the primate from his cage and -- apparently -- let him go free at Stern Grove, where he was retrieved. This tale is now available for your viewing in video form. Second, thanks to the animating tale-tellers at Next Media Animation, his kidnapping has been recreated a la Tiger Woods style. No suspects have been announced for the reversed heist, nor have any arrests been made, according to reports. A $5,000 reward offered for Banana Sam's safe return has yet to be paid out. Watch the video on YouTube, or below!